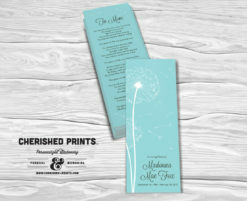 The dandelion design was created for my mom. I kept it beautifully simple, clean, pretty, and a little wistful for things left undone. 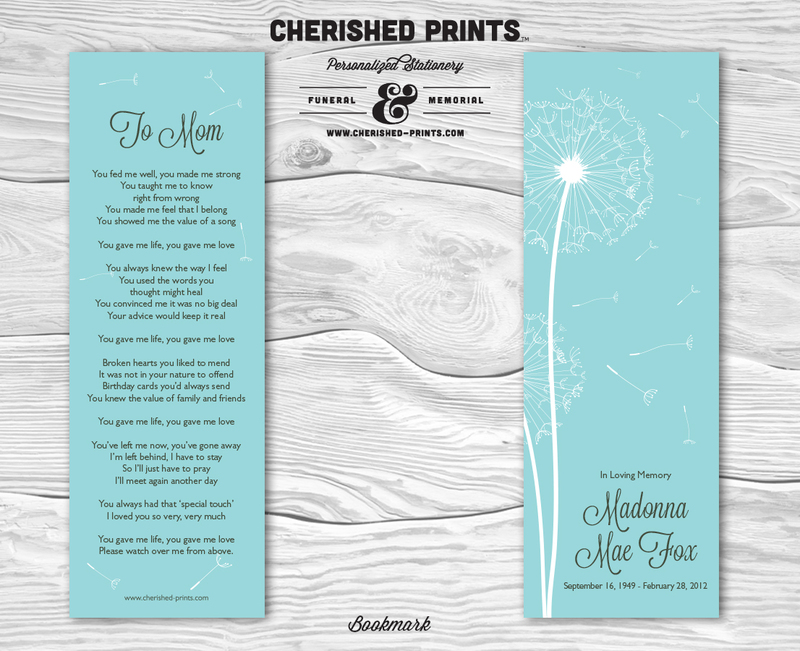 The end of my mom’s life was strongly marked by the beginning of my son’s. Thus, the wind blowing the dandelion seeds to start the next generation.This collection means a lot to me. 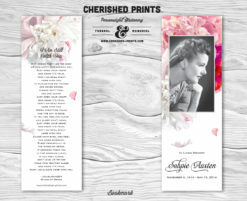 I have put my heart and tears into designing it. 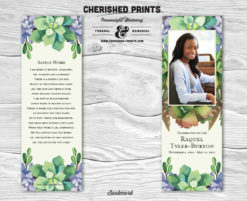 I am proud and honored by the response already and I hope it brings nothing but peace for my clients. 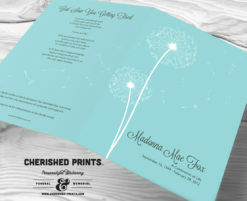 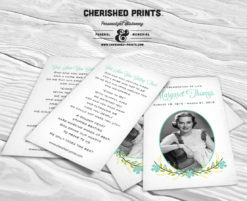 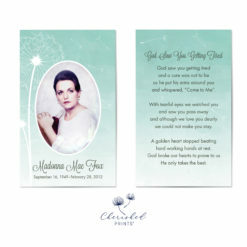 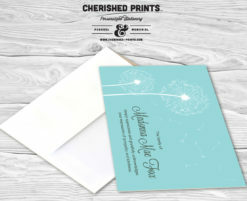 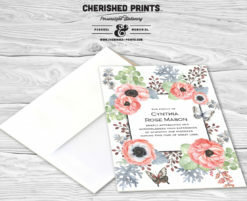 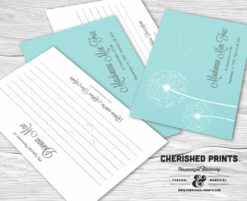 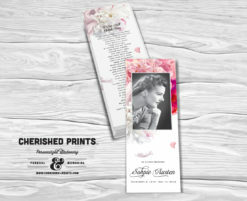 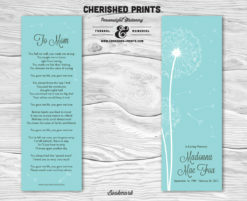 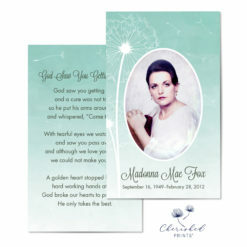 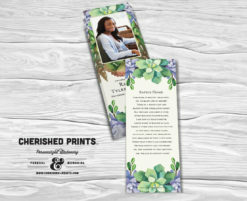 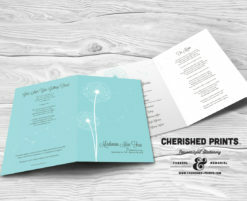 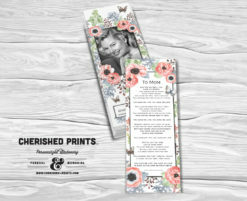 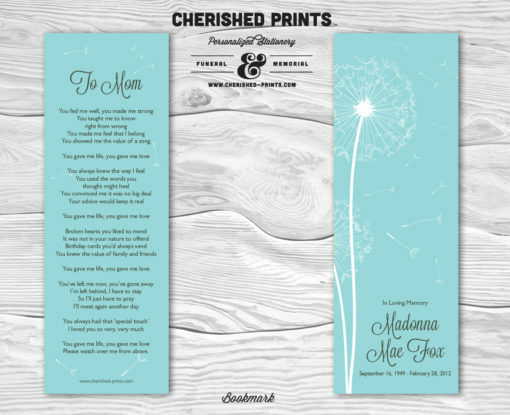 Cherished Print’s Dandelion Bookmarks for Funeral and Memorials can be customized with your choice of colors.